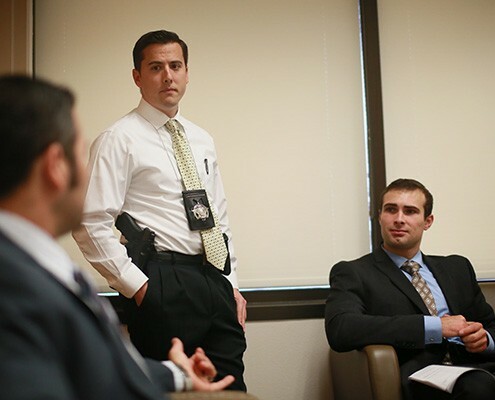 The day-to-day operations of California’s second largest District Attorney’s Office are run by Assistant District Attorney Jesse Rodriguez, the first Latino to be named Assistant District Attorney. The more than 1,000 employees of the DA’s Office are located primarily in six offices throughout the 4,000 square-mile county. 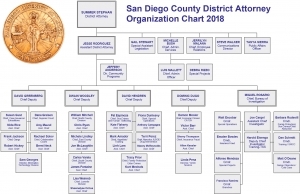 About 320 attorneys serve a county population of more than three million residents, making the Office of the San Diego County District Attorney the sixth-largest in the United States. The Bureau of Investigation’s more than 115 sworn investigators made it one of the largest police forces in San Diego County in 2018.